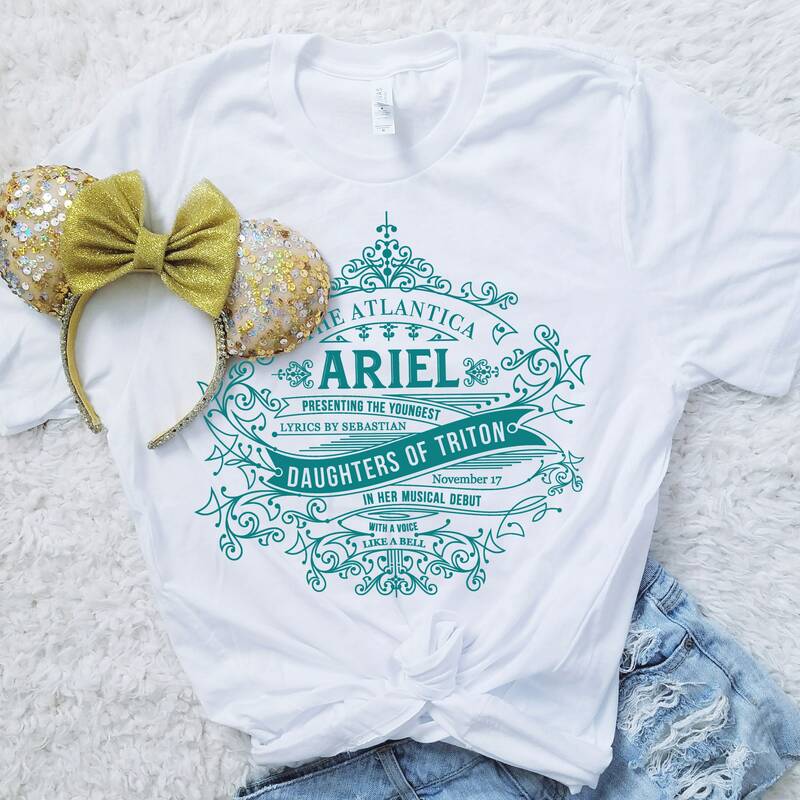 Inspired by the classic fairy tale, The Little Mermaid, this shirt pays homage to the Daughters of Triton and their vocal talents. 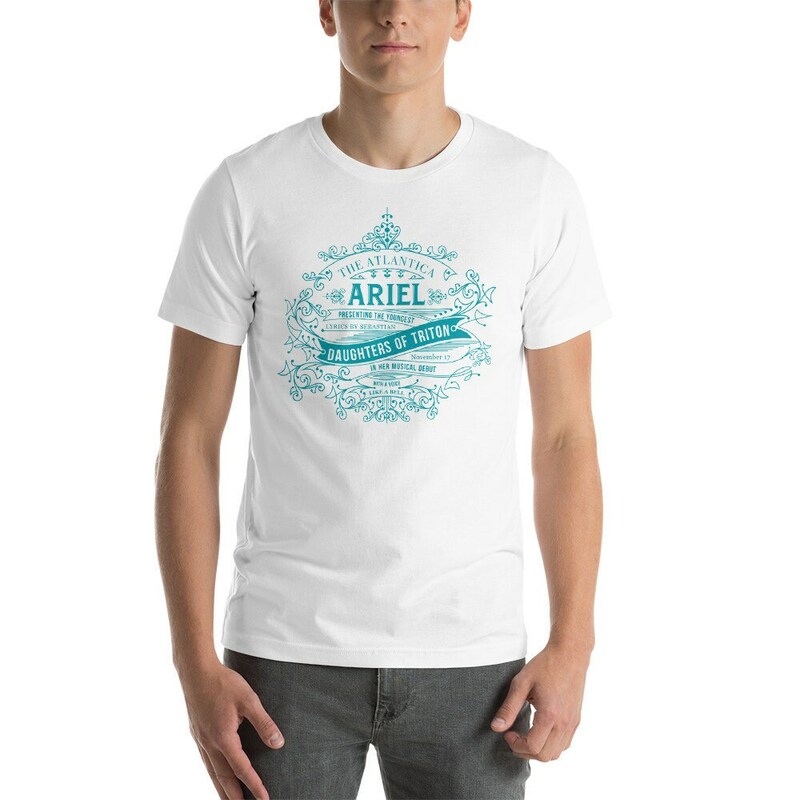 This listing is for a white, unisex crew neck shirt with an aqua design. Please note that colors may appear differently on your screen than in life.